The VikeSing Men's Choral Festival on Monday, Oct. 1, is open to male students in grades 9-12 who are currently members of one of their school choirs. Under the direction of Dr. Paul Nesheim, VikeSing participants will join together in a special all-day musical event to affirm the participation of young men in the vocal arts. Attendees will interact with, learn from, and share musical experiences with other singers to build morale, excitement and participation of male singers in area high school choruses. This is an opportunity for students at all levels to enhance their vocal technique, ensemble awareness, and musical expression, all while preparing for the Festival Choir's performance at our grand finale concert at the Washington Pavilion. CANTUS will be our special guests for the 2018 Festival. 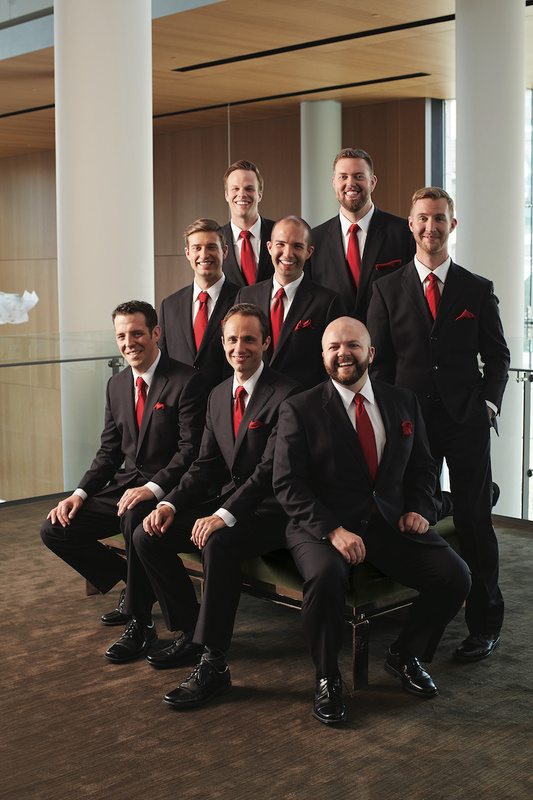 Known as the "premier men's vocal ensembles in the United States" (Fanfare), Cantus enjoys an active schedule of national tour dates, subscription concerts and educational outreach programs and recordings. They are acknowledged for their programmatic versatility, artistic excellence and charismatic personalities — and they will work with YOUR STUDENTS! Register today. Registration is extended to Thursday, Sept. 27, at 5 p.m. Please make copies (public domain) from this PDF. Order online here, or from your favorite music supplier. The Festival Chorus will sing the Biebl Ave Maria with Cantus. Your students will sing the "Chorus" parts, and Cantus will sing the solos and "Trio" parts. Prepare the music with your students as best you can, but don't worry if you run out of time to do much or even any preparation. Make sure all students bring their scores and a pencil, and we will help them get from wherever they are in the learning process to being concert ready! The cost to participate in the VikeSing Festival is $25 per student, which includes registration, t-shirt and lunch in the Ordal Dining Room at Augustana. There is no charge for participating directors/conductors. For directors and for students choosing to stay in a hotel, view the hotels offering discounts to those who are visiting Augustana. Concert dress for the Festival Choir members will be blue jeans, sneakers, and the VikeSing t-shirt they will receive when they arrive on campus in the morning. Each registered school will receive one complimentary concert ticket for the vocal director. Tickets for family, friends, and the general public can be purchased online, or for $17 (Senior tickets are $14; K-12 students and Augustana faculty/staff/student tickets are free) in advance or at the door directly from the Washington Pavilion Box Office (301 S. Main Ave. in Sioux Falls), or by calling 605.367.6000. Each member of the Festival Choir will also receive admission at no additional charge to hear the Cantus portion of the concert. Please let us know if you have any questions. We look forward to welcoming you and your students to the VikeSing Men's Choral Festival at Augustana University!